Latest in "Britain vs Murdoch"
Whether you believe there was an overall agreement between the Tories and News Corp (as Anthony Barnett does) or not (David Elstein's view), the underlying story of the failed BSkyB take-over is that Rupert Murdoch's great skill has been to fill the vacuum created by the feeble structures in our media and our politics. 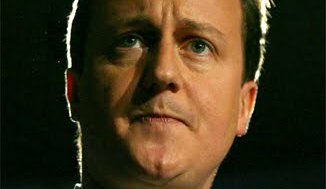 Cameron has again denied any 'great conspiracy' between the British government and the Murdochs, despite accusations by 'Some People'. Anthony Barnett, who counts himself in this group, sets out why the pact was doubtless Faustian, and the denial heaping insult onto injury. Government by corporate text messages: what is left of the British constitution after Leveson? 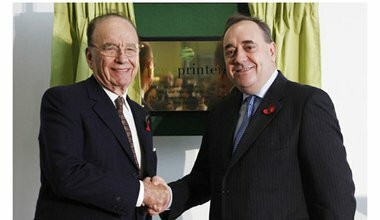 The picture of collusion between the Cameron government and Murdoch's NewsCorp is enough to make you LOL - or cry. A British citizen is aghast. The way the Cameron-Osborne government got into bed with the Murdochs, father and son, was crazy, but was there a deal? Probably not, says David Elstein, and Anthony Barnett replies. The Murdoch affair is demonstrating not only that Rupert and James are not 'fit and proper' people to run a media empire in Britain, but that David Cameron and George Osborne are ill-suited to running a government. David Cameron’s rise to power was facilitated by his canny appropriation of a Blairite ‘post-historical’ ideology. But as the continuing financial crisis reveals the hollowness of Fukuyama’s thesis, how will Britain’s prime minister adapt to the emphatic ‘return’ of history? Now that Rupert Murdoch has faced Lord Justice Leveson, it's easy to think it's all over. But the purpose was never to nail the mogul's media empire. This is a UK state inquiry into the culture, practices and ethics of the British press in its totality, and that work is far from done. Up until now, the SNP has been seen as as a decent government, less in thrall to the corporate classes than Cameron's Coalition. But the pact made between Scotland's First Minister and the Murdoch media empire punctures this moral high-ground. Can he reclaim it? 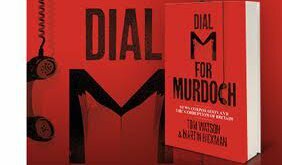 Dial M for Murdoch: the book to sink an empire? Rupert Murdoch has returned for his second day before the UK state inquiry into the British press. While we tune into his defence, a sharp counter-point is the book Dial M for Murdoch with its uncompromising, up-to-date account of the global media empire's poisonous inner workings. This week’s revelations as to the extent of Murdoch’s influence on the UK government point again to the urgent need for a robust statutory register of lobbyists. Unlock Democracy is calling on the government to beef up their proposals, to ensure these kinds of backdoor dealings are exposed in future. The implication that David Elstein wrote two articles in openDemocracy at the encouragement of James Murdoch's lobbyist is groundless. This week, the media mogul once unquestioningly known as 'the kingmaker' appears before the UK state inquiry into the British press - a day after his son and would-be heir. To mark this moment, we publish the new introduction to the defining account of the 113-year-old Murdoch dynasty, asking the question: how did we come to this? Is Murdoch still corrupting Parliament's Select Committee? Is the British parliamentary investigation of the Murdoch press proceeding with collusion between the Murdochs and members of the Committee investigating their behaviour and its influence? We should be given the evidence to allow us to decide. After the phone-hacking scandal, questions have been raised about the ownership of the UK's newspapers. But we need to make sure that any new rules are effective and not counter-productive.  In the wake of the phone hacking scandal, ourKingdom launches a joint initiative to debate the critical issues surrounding the future of the British media.